Turf should be laid now on prepared areas, though laying it can still be done during November. 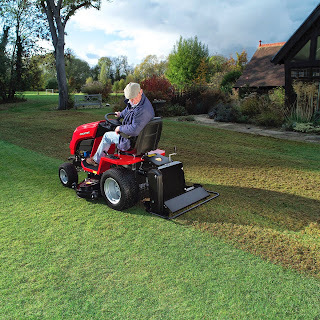 Aerating can be done with a spiked roller attachment on the garden tractor or using a powered aerator. Smaller lawns can be done with a walk-behind spiker or using a fork. Aerating will help drainage and open up the soil to allow air to reach the grass roots and aid the prevention of thatch and moss developing. 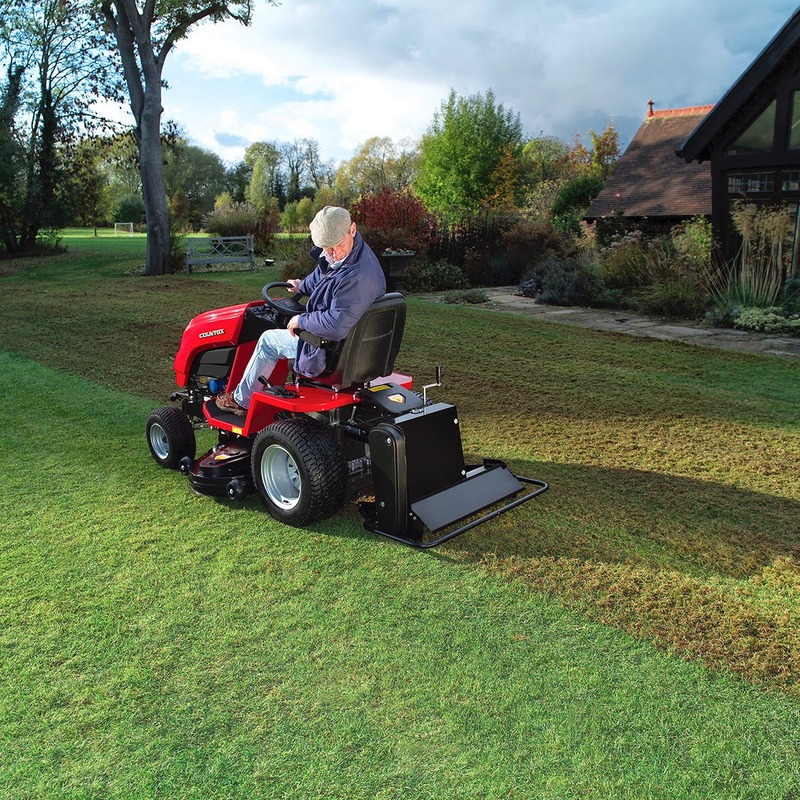 Similarly, scarifying can be done with a PTO scarifier on the garden tractor, collecting the debris afterwards with the powered collector or again, on the smaller lawn, using a rake to clear out the dead thatch and moss that was treated in September. This will be about the time to give a last cut to any recently sown areas of grass but don’t cut lower than 2.5cm (1in). Worm casts can be an unsightly nuisance on the lawn but they are easily brushed away with a birch broom when it’s dry. Toadstools and fairy rings on the lawn are an indication that aerating, scarifying and spiking are needed to get the lawn back into good shape, ready for a good feeding programme in the spring. The final mowing of the lawn before winter will deal with the weeds as using weedkiller now will not be effective.